Hierarchical secret sharing schemes are known for how they share a secret among a group of participants partitioned into levels. 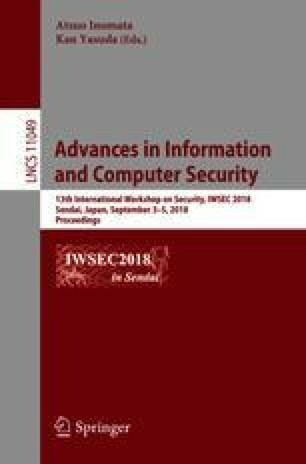 In this study, we apply the general concept of hierarchy to Kurihara et al.’s XOR-based secret sharing scheme and propose a hierarchical secret sharing scheme applicable at any level. In our scheme, a minimal number of higher-level participants are required for recovery of the secret. Such hierarchical schemes applicable at any level over finite fields have been proposed, but no XOR-based hierarchical schemes applicable at any level have been reported. We realize the first such scheme. Moreover, considering practical use, we present an evaluation of our software implementation. The authors would like to thank the anonymous reviewers for their helpful and constructive comments. This work was supported by JSPS KAKENHI Grant Number JP18K11306.